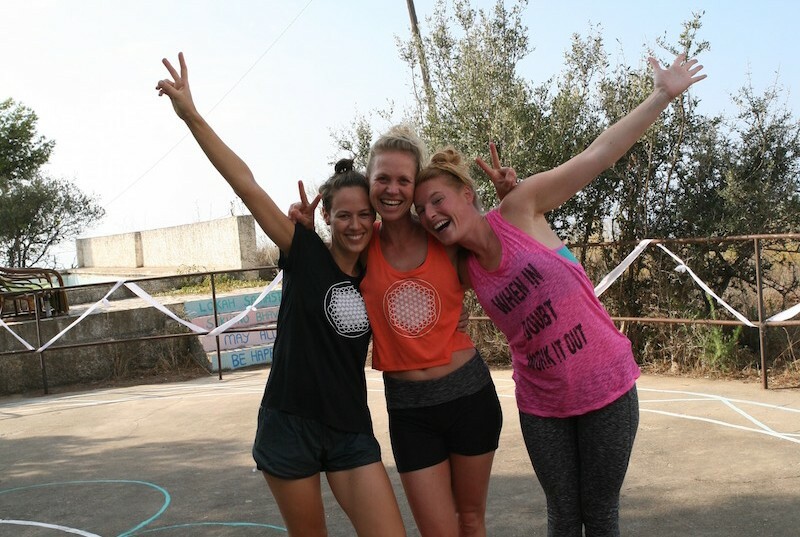 Not just that she was the best Karma Yogi we could wish for, Natasja become a part of our tiny team! She wanted to come for 2 weeks and stayed the whole autum with us and enriched our team with her ALWAYS positive vibe. What we did not know about Natasja before she arrived: she also knows how to give divine massages. And the best: She is coming back this autum! Why you decided to be a karma yogi? For me it was the perfect combination for a holiday and working as a volunteer. First of all it was an oppurtunity to deepen my yoga practice. At home I will never do 2 times yoga a day. Simply because I am to busy with work, appointments, etc. Beside that I really like to travel and meet new people. All this ingredients I could find in my job as a karma yogi. What is a typical day for a karma yogi? -Help in the kitchen after dinner. -Beside that of course welcoming guests, give a helping hand, information etc. Whas this also your expectation of being a karma yogi? Yes and no. Of course Yvon told me before what are my reponsibilites. So that was no surprise, but I did not imagine before that it is so great to be a karma yogi. I have met so much lovely and inspiring people. Because you are 1 week together and share a lot of moments there is a really special and open energy in the group. What means yoga to you? Yoga and meditation is part of my life. More then 10 years ago I started with yoga and thougt that it was nothing for me. I felt stupid in the classroom. I was really stiff, did not knew the postures/vinyasas. I also had the feeling that I was not that „typical yoga girl“..
Nowadays I know better. There is not a typical yoga girl. All kind of people practice yoga and everyone on there own level with there own possibilities and bounderies. The lesson is to feel your body, what is happening inside, look for your bounderies, but not go over them. Respect them. I am still quit stiff, but it is no need from me anymore to be the flexible girl. I feel that yoga is good for my body, but more important, It is good for my mind. I feel more relaxt, calm an flexibel when I practice yoga in my daily life. What was your favorit part of the job? No I am not a vegetarian, but I don’t eat meat/fish every day at home. I expected that I would really miss it, but to be honest I didn’t miss meat for 1 moment. Anna is a fantastic cook and makes amazing food! And once a week we eat really YUMMY fish from the BBQ! Uhmm a lot of thing: I loved the Guacamole, spinach pancakes, porridge and of course the smoothies! What kind of massages do you give? I give a special Natasja massage :). I did a lot of different study’s/courses. In Bali I learned to give a Balinese massage, but I also learned to give a relaxting massage in Holland, Indian head massage and last year I finished my school as a Tuina Masseur and studied Chinese Medicine. I combine all the techniques and give a massage witch is a good mix of releasing tensed muscles and relaxtion. You are coming back in april. Yes I am really happy to come back! Giving massages is my passion and how great that I can do my work in Spain, outside, surrounded by beautiful people! What is your best memory from the last retreat? Spontaneous pool parties with all happy faces dancing and chatting together! My nature is yang, so I have to take care of enough yin in my life! Sometimes that is easy, sometimes not. Just what life is about..
Definitly Day, or I can better say morning. In the morning I have a lot of energy and focus. In the night it is my time to relaxt.